See more objects with the tag flowers, upholstery, domestic interiors, branches, commercial interior, gardens, leaves. This is a Textile. It was co-designed by Maharam Design Studio and produced by Maharam. It is dated 2008 and we acquired it in 2008. Its medium is 96% wool, 3% nylon, 1% polyester and its technique is appliquéd and embroidered. It is a part of the Textiles department. 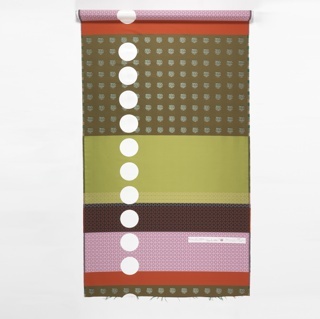 In 2004, the museum commissioned Hella Jongerius to create a series of 10 textiles, collectively titled Sampler Blanket (2005-33-1/10), in conjunction with the 2005 exhibition, Hella Jongerius Selects: Works from the Permanent Collection. Each of Jongerius's works was inspired by designs found on historic samplers in the museum’s textile collection, which includes over 1,000 examples of embroidered samplers from all over the world, spanning three centuries. Shortly after the exhibition, Maharam, a fourth-generation family textile company, became interested in collaborating with Jongerius on a production version inspired by the Sampler Blanket collection. Layers Garden Double, designed by Jongerius and manufactured by Maharam, is a result of that collaboration. 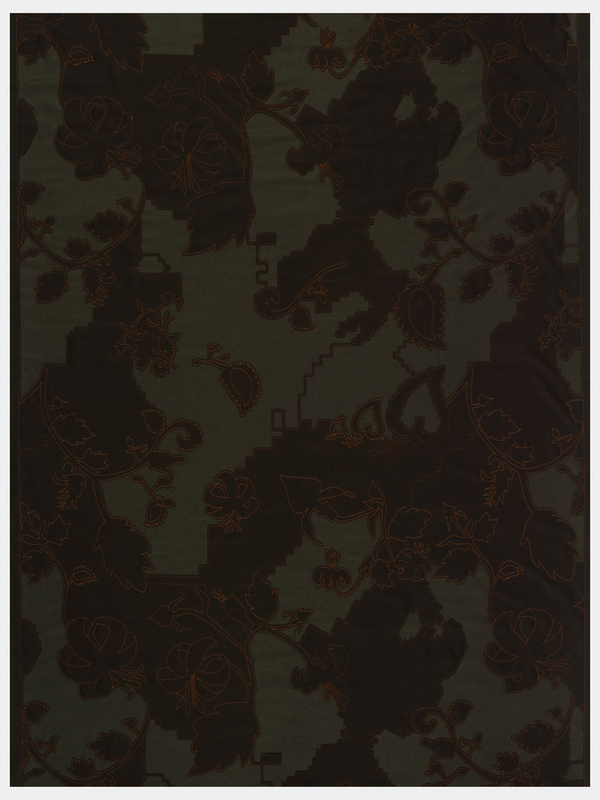 Layers Garden Double is a dark green wool fabric that has been appliquéd with a dark brown layer that is then partially cut away by hand. Red stitching joins the fabric and creates the embroidered pattern on the textile. This three-dimensional floral textile is primarily used for upholstery. Layers Garden Double is not only an excellent example of contemporary textiles, but also documents a project that began with the Sampler Blanket. 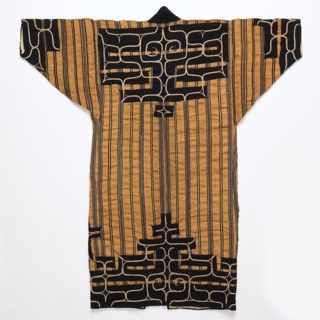 Together, these textiles weave a narrative about the works as a creative endeavor and reveal the importance of handwork and machine production in each. Jongerius continues to have materials largely determine the design direction at Jongeriuslab, combining ancient craft technique with modern technology. Layers Garden Double is another beautiful example of this philosophy. This object was featured in our Object of the Day series in a post titled Inspiration and Production.